It's that time again! Time for Five on Friday (a day late)! I can't tell you how excited I am for it to be the weekend. I was sick all week and it.was.rough. I'm hoping to give my body what it needs this weekend, lots of rest and relaxation. Even though this past week was looooong, the kids and I still managed to have some good times. The week was filled with lots of love, snuggles and giggles; and through my nasty cough and my snot face, I was happy to giggle along with my little munchkins. 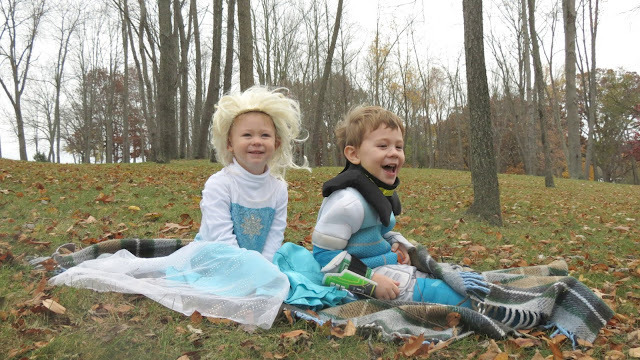 These two on Halloween. How can you not smile when looking at this picture?! 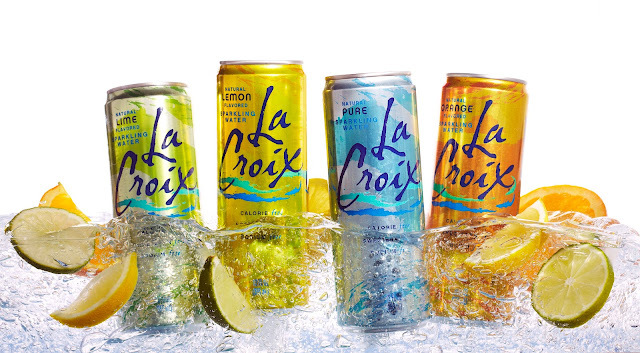 La Croix, La Croix, La Croix. We don't drink pop on a day-to-day basis over here. It's usually considered a treat if we have a pop with dinner. These drinks are so awesome because they're fizzy and fun...aaaaaand it's water. While feeling under the weather this past week, I was looking for any sort of relief. I Googled and looked on Pinterest for natural home remedies. My girl, Sara, helped me out, too. Off I went to the store, tissues in tow, to find what I needed to come up with my own natural home remedy concoction. Below are just two of the products (picture from Pinterest, see source) I used when trying to come up with my own natural remedy. Thank goodness for Google, Pinterest and BFFs! Stay tuned for my sore throat home remedy recipe, it was tasty and I really think it helped. Great Days of Hayes is now The Hayes Homestead! Sara (see above) bought a new domain and she has an adorable new blog design! I'm so proud of her! Go check it out! Christmas pajamas have been ordered. This year, we're going with red and white stripes. I had a pretty white threaded monogram added to both sets of pajamas. I can't wait for them to arrive. The "Elves" always bring pajamas for the family on Christmas Eve, so unfortunately I'll have to wait until then to see them on the kids...that is, unless I order more! Muhahahaha! I mean, you can never have too many cute pjs, am.I.right? I hope you're feeling better girl, being sick as a parent is the WORST!! I can't wait to hear your sore throat remedy because I've had a sore throat for days now! I've been drinking tea with honey around the clock! Your kids were so adorable on Halloween!! And I'll have to check that water out, I've never heard of it! Thanks for all the love, girl! You're such a great friend!!! I can't wait to see what you concocted for your sore throat - you know I'm all about the natural remedies! I just whipped up some syrup today to keep on hand! So sorry to hear you're feeling under the weather! 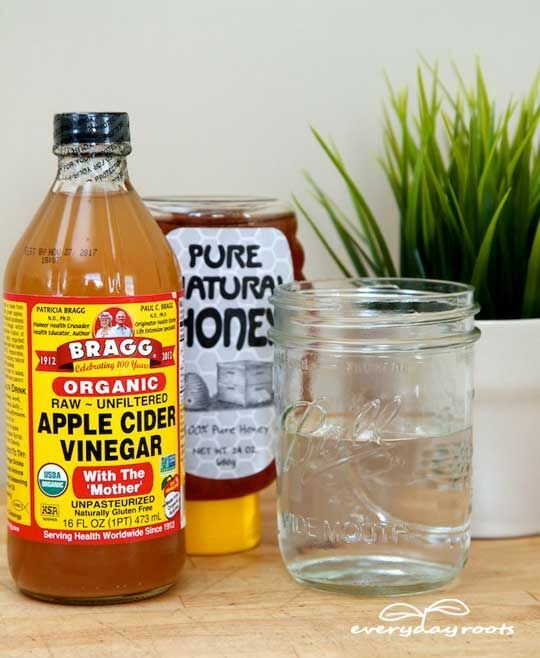 Thank you so much for posting that home remedy, I'm feeling like I'm coming down with a cold, so I am definitely going to try that! And I love that the 'elves' bring your kiddos PJs on Christmas Eve! The hubs and I don't have kids yet, but every Christmas we have had together I've gotten us both pjs to open on Christmas Eve and it's been a fun tradition! I'm excited to keep that tradition going once we (God willing) have kids of our own! Hope you had a nice relaxing weekend and am feeling better! I'm all about natural remedies! Especially since I have either been pregnant or breastfeeding for the past 4 years. Elderberry syrup is a great remedy to have on hand as is slippery elm! Sorry you've been sick, Marie! Moms should not be allowed to get sick!! And thanks for explaining that La Croix... I've seen it all over different mommy blogs, but I never knew what it was. I may just have to try some of that! All I drink is water, but sometimes it does get a little boring! I hope you have a better week this week! Hugs!! The kids looked so cute in their costumes and I love the Christmas pajamas you chose!